Hawaii offers an impeccable climate, a rich and one-of-a-kind cultural experience, a pacific-sized list of things to do, and some of the most beautiful landscapes on the planet. A perfect place to rent a beach house, no doubt. Each island, however, has its own unique, different flavor, if only slightly. My favorite flavor has always been Kauai - for its unmatched beauty, simplicity, and genuine, unaltered Hawaiian-ness. Learn more here! Listed below are other beach properties within a 50 mile radius of zip code 96756. Hawaii offers an impeccable climate, a rich and one-of-a-kind cultural experience, a pacific-sized list of things to do, and some of the most beautiful landscapes on the planet. A perfect place to rent a beach house, no doubt. Each island, however, has its own unique, different flavor, if only slightly. My favorite flavor has always been Kauai - for its unmatched beauty, simplicity, and genuine, unaltered Hawaiian-ness. Even in Hawaii, thousands of miles from any mainland, it's possible to feel clustered, rushed, and even bothered. Between the crowds, hustle and bustle, and often Modern feel of Oahu and Maui, you might lose sight of the real beauty of Hawaii. Kauai has all of that- the untouched land, the traditional way of life, native Hawaiians making up the majority of the population, the quiet, breezy, natural beaches, the whole 9 yards. Don't get me wrong, Hawaii is paradise, but Kauai is paradise's paradise. 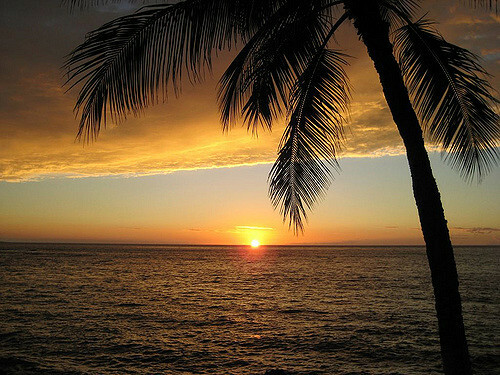 It is furthest east of the major Hawaiian Islands and certainly has the most classic and original feel of any of them. Koloa sits along the southern shore of the island, just off the island's lone highway. Rich red volcanic dirt highlights the stunning range of color amongst the islands dense foliage and the picturesque soft beaches overlook thousands of miles of deep blue ocean- the perfect middle of nowhere. Koloa was founded in 1835, built around the island's first major sugar plantation. However, history here goes back long before that, and there is evidence everywhere. You can visit the ruins of an ancient temple in a stunning site at Kihahouna Heiau, the archaeological digs at Keoneloa Bay, and even take a look at the very volcanic site from which the island was born. On top of various zip-lining, hiking, horseback riding, and biking tours, the island is laced with hotspots for divers and snorkelers wanting to take a look at the incredible wealth of marine life living in the rich mineral waters and reefs surrounding the island. Walk back in time to Old Time Koloa, a well preserved area where building remain from the mid 19th century and check out the fresh local goods at the Koloa farmer's market every Monday. Kauai's authenticity is especially evident in its cuisine. The most Hawaiian of Hawaiian food is certainly found here. One exemplary eatery is Eating House 1849, serving up traditional pacific rim dishes with an old town atmosphere. The Koloa fish market seems to be long-standing favorite of both locals and tourists, and has an incredible variety of sushi, cooked dishes, and local delicacies. The island's shaved ice is in my humble opinion the best of all and can be found pretty much anywhere - you can't miss it, and you shouldn't - they've perfected the art.